Over 3 Saturdays A Taste will be hightening your sense of taste, by hosting supper clubs shere diners sit blindfolded while they eat. The specially created menu is designed to tempt and tease your senses - diners will be in for a very memorable evening! 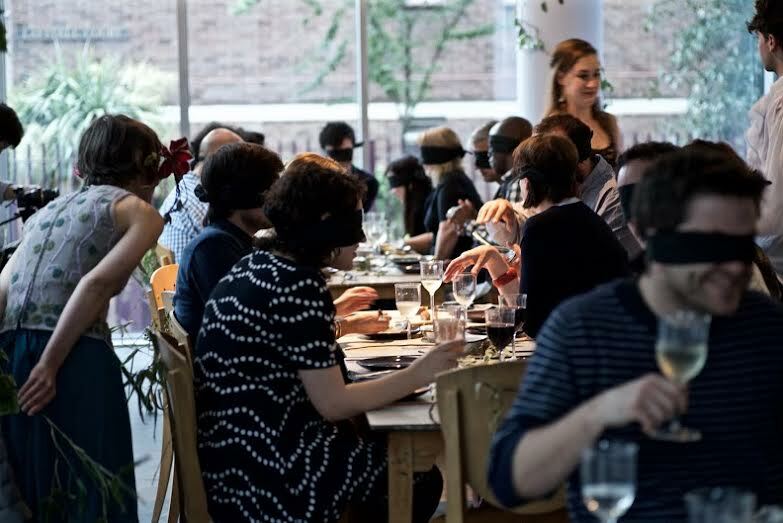 "The Blindfold Dinner is an Immersive new supper club experience combining food, theatre and trust. Brought to you by Grub Club and seasoned pop up chefs A.Taste, the evening is designed to bombard the remaining senses and will run every Saturday in July. With a background in fine dining, the talented chef (Chris Jordan) has created a secret menu specifically for this evening, designed so diners can eat blindfolded and experience the meal in a totally new way. As the diner’s senses run wild, actors weave between the tables adding a new dimension to the evening, with each being the source of surprise to the sightless diners. Without sight, there is no way to anticipate anything and leads to a truly memorable night of dining."